NTT DOCOMO is the largest mobile service provider in Japan, serving more than 73 million customers. “Our data-based services are often not used at full capacity, resulting in high database running costs. Amazon Aurora Serverless will allow NTT DOCOMO to reduce operational costs by matching capacity to actual demand. Because developers can use Amazon Aurora Serverless just like a traditional MySQL database, it will be easy to adopt in our service infrastructure." Dow Jones is a worldwide news and information powerhouse, with prestigious brands including The Wall Street Journal and Dow Jones Newswires. Capital One, a leading information-based technology company and digital banking innovator, has taken a cloud-first approach to software development. Akatsuki Inc. is a entertainment company whose portfolio of games brings exciting and heart-stirring experiences. Yuto Komai, Server Side Engineer - Akatsuki Inc.
Alfresco provides modern content management software built on opens standards that unlocks the power of business-critical content. "Amazon Aurora was able to satisfy all of our scale requirements with no degradation in performance. With Alfresco on Amazon Aurora we scaled to 1 billion documents with a throughput of 3 million per hour, which is 10 times faster than our MySQL environment. It just works!" Arizona State University is ranked by U.S. News & World Report as the #1 university in the U.S. for innovation. "ASU continues its drive to improve flexibility and agility in its IT solutions to meet customer needs. We're using Amazon Aurora to cut reporting and extraction, transformation, and loading (ETL) time by a factor of over 10, replacing our Oracle workloads with a high-performance cloud database that delivers fast responses to our users. Our ASU Alexa skill and ASU mobile app will benefit from Amazon Aurora's scalability as students arrive en masse this fall and create peak loads. And, the new Amazon Aurora Serverless capability will help us reduce costs for non-production environments, giving us flexibility to support data warehouse and ETL processes with irregular usage patterns." Autodesk makes software for people who make things like high-performance cars, towering skyscrapers and great films. Beachbody is a leading provider of fitness, nutrition, and weight-loss programs that empower millions of customers. California Polytechnic State University is a nationally-ranked public university that’s driven by its core philosophy of Learn by Doing — a powerful combination of academic expertise and hands-on experience. CB Insights is a private market intelligence firm that aggregates and analyzes massive amounts of data and uses machine learning and data visualization to help corporations answer strategic questions. “Leveraging serverless computing is key to our system architecture strategy at CB Insights as it allows us to handle bursts in computation needs in an effective and cost efficient manner. We are excited about the opportunity to bring the serverless model to databases through Amazon Aurora Serverless. Through the preview program we have had early access to Aurora Serverless and it has confirmed the applicability for unpredictable data access scenarios. It’s also a good option for development/staging databases, which can be shut down when not in use to achieve additional cost savings." Choice Hotels International, Inc. is one of the world's largest hotel companies, with over 6,800 hotels franchised in more than 40 countries and territories. Cognizant is one of the world's leading business and IT services companies, providing technology, consulting, and operations services to help companies digitally transform their businesses. CourseStorm offers impossibly simple cloud-based software to support growing educational and workforce development programs. Currencycloud enables businesses to quickly and easily handle international payments through the cloud. “Currencycloud leverages Amazon Aurora to get higher performance than regular MySQL, while staying compliant with strict regulations. AWS innovations give us technical capabilities and true business competitive advantages, and Aurora Serverless in particular will allow us to scale to the demands of our customers in a matter of seconds. It will bring huge advantages to our internal processes, provide additional low risk elasticity to our database clusters, and a significant cost reduction during idle times." Earth Networks operates the world’s largest and most comprehensive weather observation, lightning detection, and climate (GHG) networks. “At Earth Networks we are leveraging our big data smarts to deliver on the promise of IoT and home energy efficiency. Our proprietary networks process over 25 terabytes of real-time data daily, so we need a scalable database that can rapidly grow with our expanding data analysis. During our Amazon Aurora preview, we were very impressed with how easy it was to move from our current SQL Server databases to Amazon Aurora; all with only a few changes." FirstFuel is the global leader in business customer engagement for the energy industry, delivering customer intelligence to over 30 energy providers in North America and Europe. Funny Or Die is an Emmy-winning leader in comedy entertainment, combining Hollywood artistry with Silicon Valley innovation to deliver cutting-edge content across a rapidly expanding distribution network. Intuit, maker of TurboTax, QuickBooks, Mint and Turbo, provides financial management solutions to approximately 50 million consumers, self-employed and small businesses around the world. ISCS is a leading provider of core system SaaS solutions for the property and casualty insurance industry. “We project that the size and throughput requirements of our relational databases will more than double year-over-year for the next several years. We need a scaling strategy that delivers reliable performance with growth, yet is simple to operate. Amazon Aurora’s ability to auto-grow database sizes all the way up to 64 TB, as well as provide consistent throughput and latency, is an extremely promising approach to reducing our operational risk." The Mainichi Newspapers is one of Japan's major newspaper companies, publishing the daily newspaper The Mainichi Shimbun. Mitel is a global market leader in business communications. Netflix is the world's leading internet entertainment service with over 130 million memberships in over 190 countries enjoying TV series, documentaries and feature films across a wide variety of genres and languages. Pagely is the WordPress hosting leader in innovation, speed, scalability, and security, with thousands of clients ranging from the largest tech companies, to universities, creative agencies, city and state governments, and other large and midsize businesses. Personal Capital seeks to transform the wealth management industry through transparency, ease of use, and powerful analytics made available to everyday investors. RecoChoku has been a driving force among Japanese music distribution services since 2001. If you work with databases on AWS, there is no reason not to choose Amazon Aurora. At peak periods the membership system is accessed via API more than 250 times per second, but there have been no issues at all even under this kind of processing load. Also, because it is a fully managed service, we can focus our resources on service development." Shuhei Sakai, Systems Architect Group, Business Systems Promotion Department - RecoChoku Co., Ltd. 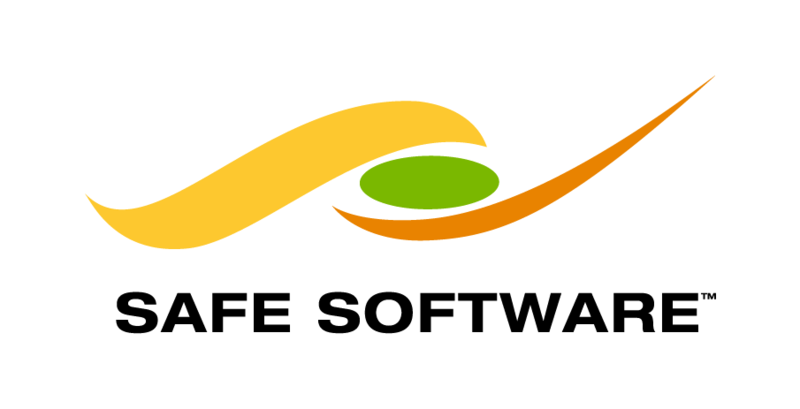 Safe Software is a leader in spatial data transformation technology, and maker of FME. Sumzap, Inc. is a Japanese smartphone gaming company that produces Sengoku Enbu -KIZNA-, a game title that was ranked first in the iOS sales rankings multiple times. Hiroyuki Ishihara, SRE Team Manager - Sumzap, Inc.
SysAid simplifies challenges that IT pros face every day, by providing a powerful and centralized help desk and IT Service Management (ITSM) solution. “At SysAid, we describe Aurora as the solution to everything! We were looking for a database that could withstand the needs of our established customer base, who need all of their historical IT data at their fingertips. Aurora allowed us to not compromise the level of service that's expected of us. Furthermore, we were looking for a stable and scalable cluster technology and were amazed by how quickly and easily Aurora performed intensive ALTER TABLE operations. We're now free to move SysAid forward without worrying about either performance or stability." TalentBin is used by the best technical recruiters in the world to find passive candidates where they are active online, based on their skills, interests and actions. TransNexus is a VOIP software development firm providing fraud detection, intelligent routing, and analytics solutions for major carriers worldwide. The United Nations is an intergovernmental organization, consisting of 193 member states, dedicated to promoting international cooperation on the issues of peace and security, human rights, and sustainable development. X.D. Network is one of the largest mobile game companies in Shanghai, China. "Ragnarok Online, an MMORPG (Massively Multiplayer Online Role-Playing Game) mobile game we launched in the Korea region in March 2018, needs to constantly update game statistics and player status. The burden of massive write operations can reach 25,000 queries per second easily, which exceeds the limit of traditional MySQL databases. Thanks to the Amazon Aurora database, we can accomplish this without changing any of the code, and even keep latency to less than 35 ms to ensure we can continue to expand our user base. Thanks to the high performance and availability that Amazon Aurora provides, Ragnarok Online reached number one in the free and top-grossing mobile game categories in Korea when it launched." Tomasen Shen, CTO – X.D. Network Inc.
ZipRecruiter, the fastest-growing online employment marketplace, has connected over 1 million businesses and 100 million job seekers through AI-driven matching technology. Zumba is a dance fitness program taken daily by over 15 million people around the world. "Our existing MySQL databases perform millions of transactions per day and we expect them to continue to grow. Amazon Aurora will give us better performance and scalability than MySQL, as well as lower latency read replicas, and we see an opportunity to use Amazon Aurora to improve the latency of our website while also reducing the number of instances required to run it. Best of all, Amazon Aurora’s MySQL-compatibility means that we can use it without making changes to our existing applications." Verizon is a global leader delivering innovative communications and technology solutions. Amazon.com is the world’s leading online retailer. The Amazon Transaction Risk Management Services (TRMS) team migrated more than 100 on-premises Oracle databases to Amazon Aurora. "As one of the world's largest online retailers, Amazon is also one of the world's largest targets for online fraud. Customers make hundreds of purchases per second on our website and mobile app, and every one of those transactions must be screened for fraud. Things have been running very smoothly on Aurora since the migration. There have been zero database outages, and we no longer have to worry about the execution plan flips we used to experience on Oracle." Nielsen is a global data management company providing a comprehensive understanding of consumer behaviors. 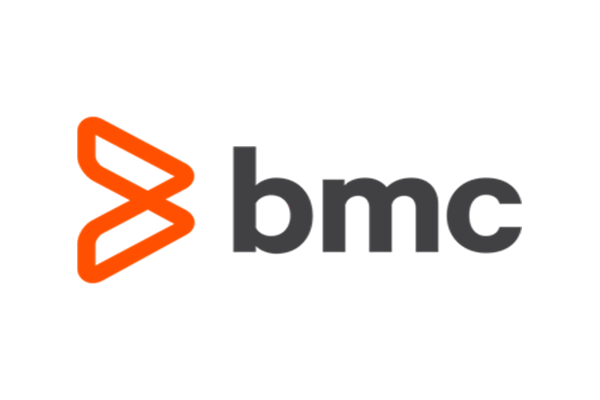 BMC is a global leader in innovative software solutions that enable businesses to transform into digital enterprises for the ultimate competitive advantage. “We are excited to announce the availability of Remedy ITSM on AWS Cloud. Our customers can now benefit from best-in-class cloud service, 3 times faster installation time, and lower cost of ownership by supporting migration to Aurora PostgreSQL." BMLL Technologies Ltd is a world leader in applying statistical techniques to niche big-data sets, running a web platform for financial services customers to perform machine learning on limit order book data with applications such as market impact, book simulation, and compliance and surveillance. “Amazon Aurora PostgreSQL is helping us solve performance and scalability challenges to provide deeper and faster data analysis to our customers. Cloudability is a cloud cost-management platform that empowers enterprises to optimize their cloud financials with full accountability. “Amazon Aurora has become the database of choice for all our MySQL workloads. Our True Cost Engine delivers cost efficiency to customers, using a new predictive model based on petabytes of customer cost optimization data. To support this kind of analysis, we need a database that is performant, scalable, cost-effective, and easy to maintain and tune. Aurora solves our biggest issues with managing large, production databases with strict SLAs. Now that PostgreSQL is supported, we expect all our PostgreSQL workloads to move to Aurora as well." Decisiv provides the leading Service Relationship Management (SRM) platform for 65% of the North American commercial vehicle market, with over 40,000 users managing a total of more than 4 million assets. "Aurora PostgreSQL is instrumental for Decisiv as we updgrade our infrastructure to support the growing scale, performance and reliability requirements that our customers expect. We've consolidated multiple SQL Server instances into a single database that boasts higher performance at a better cost. Thanks to Aurora, our migration from SQL Server to PostgreSQL went more smoothly than we anticipated, and we are now well-positioned to rapidly scale." 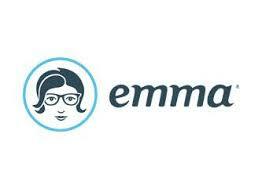 Emma's powerful digital marketing platform makes it easy for teams of all sizes to create beautifully designed email campaigns that drive results. INRIX is the global leader in connected car services and transportation analytics, a new approach that leverages big data and the cloud to help manage urban mobility. "From raw GPS points, INRIX generates large-scale vehicle movement data and ingests the data into sharded Amazon RDS for PostgreSQL instances. We are hitting the storage and performance limits per shard and looking for a more scalable solution. With Amazon Aurora’s compatibility with PostgreSQL, we’ve seen three times performance improvements in our benchmarks. We love Amazon Aurora’s ability to scale storage independently of computing resources at better price points." New Innovations has built a business around shared ideas and beliefs that all point to a larger purpose—empowering medical educators and administrators to provide quality medical education. "Thanks to AWS and Amazon Aurora PostgreSQL, our company has been able to build an infrastructure that scales to meet our customers’ demands. We found that Aurora PostgreSQL is a drop-in replacement for Amazon RDS PostgreSQL, with a few very important improvements: write throughput and automatically-expanding storage. We migrated 700+ instances of Microsoft SQL Server, and LOVE the simplicity of management that Aurora PostgreSQL provides. Gone are the days of dealing with tuning and tweaking configuration files for optimal performance." RavenPack is a Big Data analytics provider for financial institutions. RealityMine enables the world’s largest market research and media organizations to gain insights from consumer behavior. The RealityMeter system is used by leading panel owners and research clients across five continents. SRA OSS is part of SRA Inc., one of Japan's oldest and largest systems integration companies. "In our performance testing of Amazon Aurora’s PostgreSQL compatibility, we found that the performance was three times better than standard PostgreSQL. Our testing also showed that Amazon Aurora is fully compatible with PostgreSQL 9.6, and we believe customers will be able to move large enterprise workloads from on-premises commercial databases to Amazon Aurora because of its high performance, high availability, and PostgreSQL compatibility. SRA OSS will add support for Amazon Aurora to the next version of pgpool-II, which provides clustering management middleware for PostgreSQL." Tatsuo Ishii, Japan President - SRA OSS, Inc.
TIBCO is a global leader in integration, API management, and analytics, offering a low-code application platform that empowers citizen developers to build fully functional and smart applications in minutes. Urban Airship is a digital growth platform and the global leader in mobile engagement automation. "Our platform sends billions of notifications every single day for the world’s largest companies. We capture hundreds of billions of event and user-level attribute data every day along with advanced attributes like LTV. Providing real-time querying and segmentation on multiple attributes along with recency and frequency was a strain on both our systems and people. We’ve been testing Aurora PostgreSQL since January with some of our large global customers and have found performance is 2-3X faster. Airshippers love that it’s hosted, scaling capacity is easy, and its compatibility with PostgreSQL made it easy to use from the start due to our in-house expertise." Wappa is the pioneer and market leader in taxi expense management, headquartered in Brazil and available in 22 countries.